The most important advance in computation will arrive in the form of a human-machine interface that allows digital devices and systems to properly support sophisticated, collaborative processes and workflows. This will correctly feel like science fiction. A worthy professional computing system must be able to coherently address a roomful of pixels, from displays on walls to those on laptops and mobile devices. It must allow parallel control from multiple participants using a variety of different personal devices and input modalities. A new universal UI will mediate: one immensely capable yet entirely natural; evocative of the real world; exhilarating to use. This is work's future. 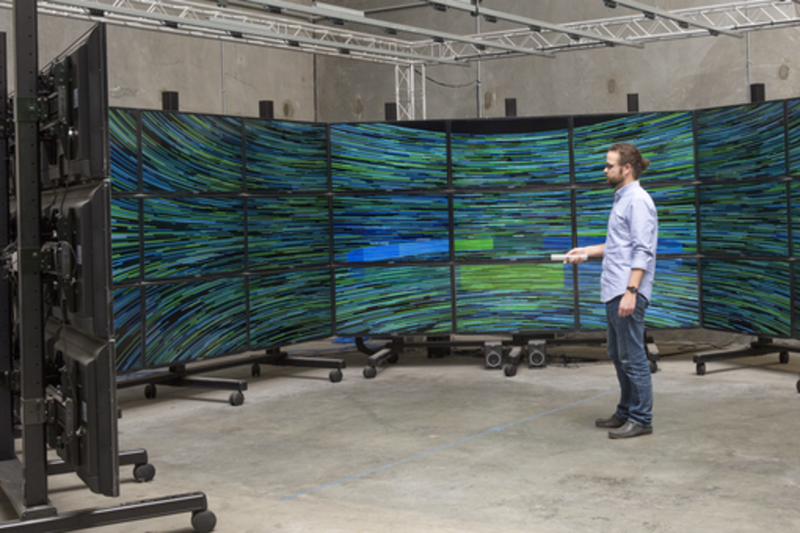 John Underkoffler is founder and CEO of Oblong Industries, developer of the g-speak Spatial Operating Environment and the Mezzanine system for immersive visual collaboration across the enterprise. Oblong's technological trajectories build on fifteen years of foundational work at the MIT Media Lab, where John was responsible for innovations in real-time computer graphics systems, large-scale visualization techniques, and the I/O Bulb and Luminous Room systems. John was a science advisor to films including ‘Minority Report’, ‘The Hulk’ (A. Lee), and ‘Iron Man’. John is the 2015 National Design Award winner for Interaction Design; examples of his work are now in the Smithsonian archive. John serves on the National Advisory Council of Cranbrook Academy in Bloomfield Hill, MI, and on the Board of Directors of the E14 Fund in Cambridge, MA.